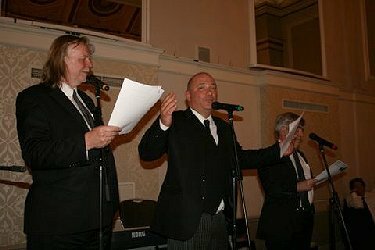 It was consecrated on 19 May 1905 and its members have represented most branches of show business including music hall, variety, circus, pantomime, comedy, magic, ventriloquism, silent films and talkies, cinema, radio and television, not to mention musicians who were members of British dance bands and orchestras. 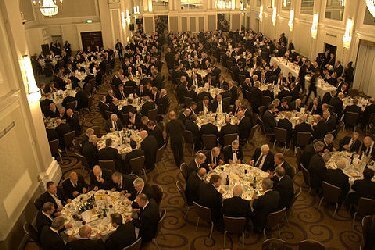 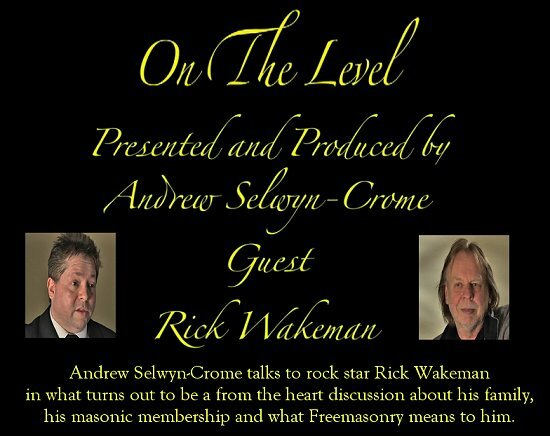 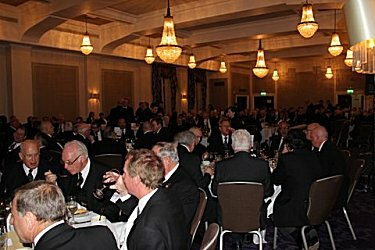 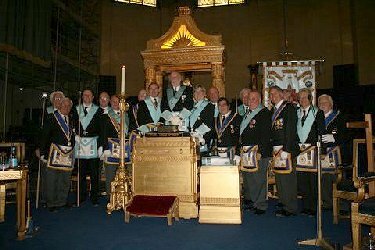 To date over one thousand Freemasons have been members, and meetings take place at Grand Lodge, Freemasons Hall, Great Queen Street, London five times a year. 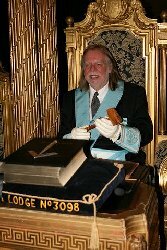 Founder of the Metropolitan Grand Lodge of London. 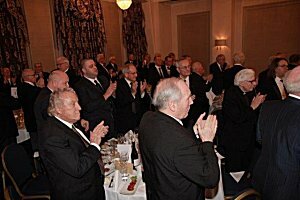 Diamond Award holder RMBI/MetGL appeal. 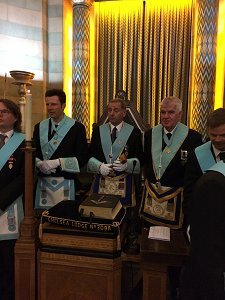 and the the fourth Thursday in October (Installation). 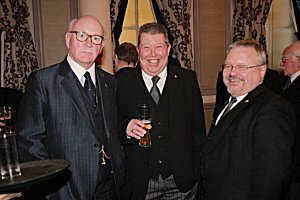 We welcome visitors from other Chapters. 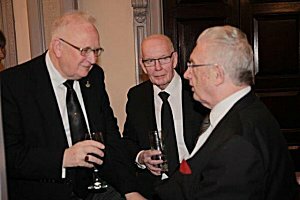 Members of the Royal Arch who wish to attend on 24th please contact Scribe E John Logan. 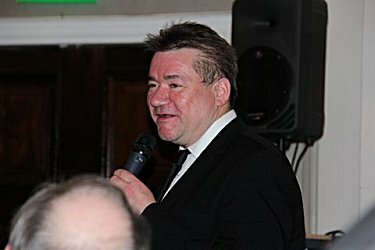 Simply Photography are available on their website. 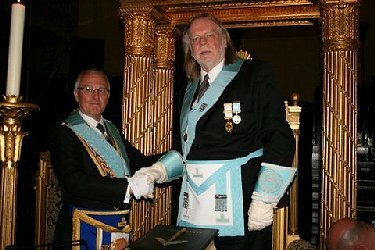 W.Bro. 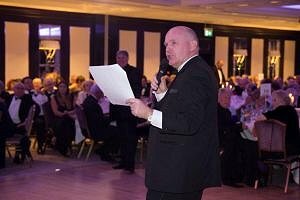 David Capri our charity steward was delighted to present a cheque for �3,661.06 to Prostate Cancer UK. 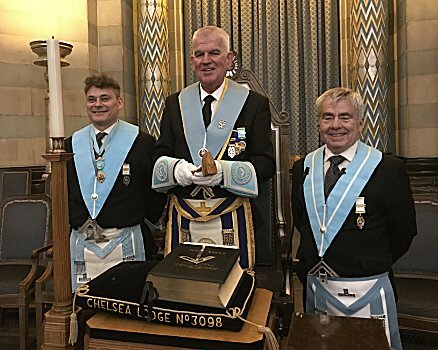 This donation represents a share of the charity funds, raised by the members of Chelsea Lodge, during the last 12 months which we hope will assist them with their valuable work. 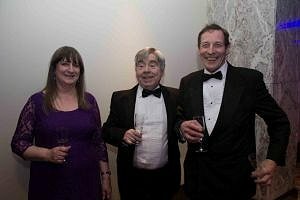 With David is Katie, Community Fundraising Assistant, and their Manager Jack, who is in his attire from a sponsored run. 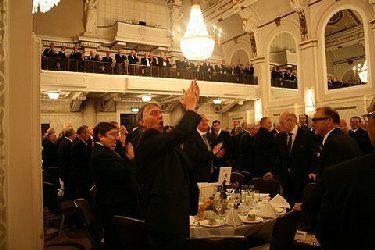 It was great to see so many Chelsea members at Sunday Night at the London Palladium on June 25th, which was produced by our very own DC, W. Bro. 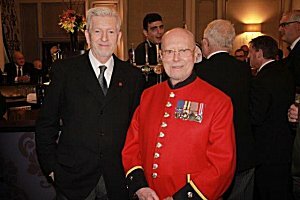 Giles Cooper, to celebrate the Tercentenary. 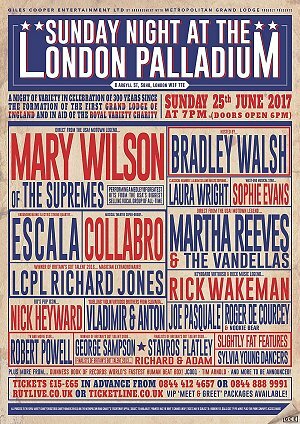 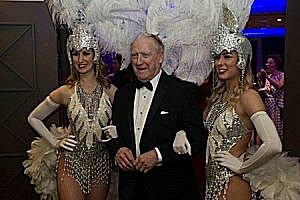 The world-famous Palladium was rammed and the show was a rollicking, rip-roaring success! 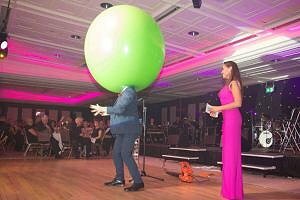 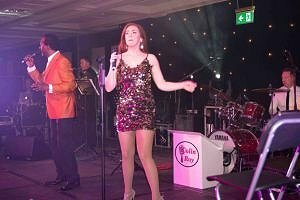 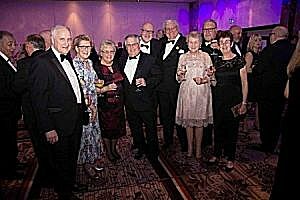 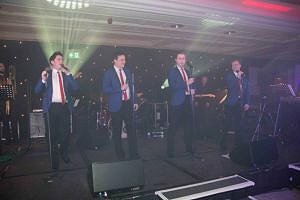 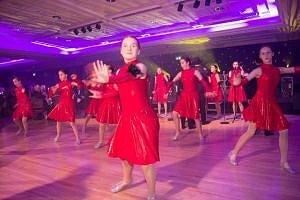 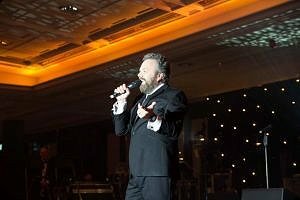 There were some excellent photographs taken on the night, both of the performers and guests and these are available to view and download by clicking here. 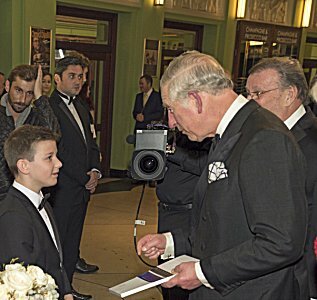 with a souvenir programme at the 2016 Royal Variety Performance. 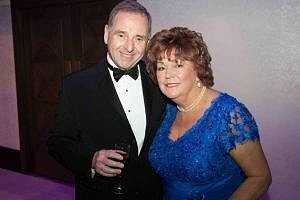 chairman of the RVP Charity for the honour. 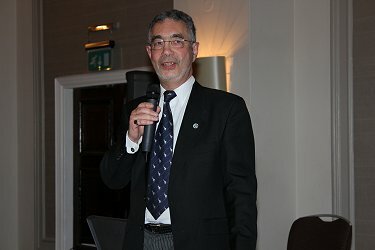 Every day the Masonic charities support families and individuals facing hardship or a personal crisis to rebuild their lives and recover their independence. 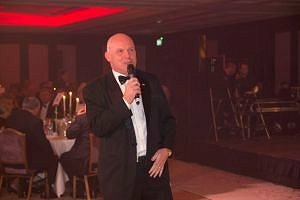 In this short video, Geoff and his daughter Sue tell us how our support helped their family. 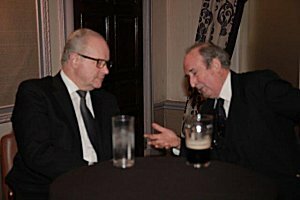 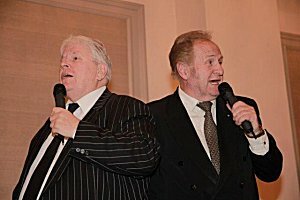 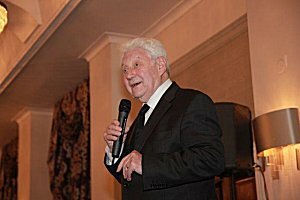 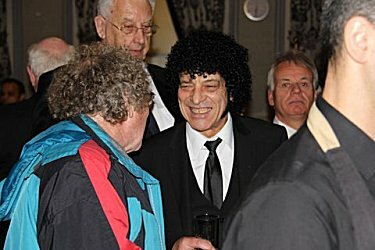 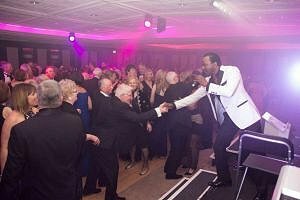 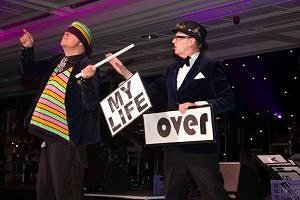 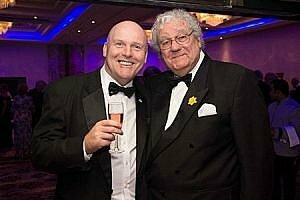 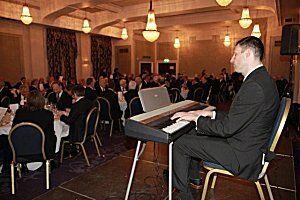 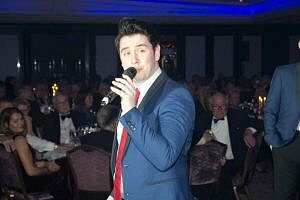 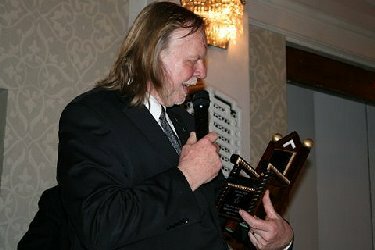 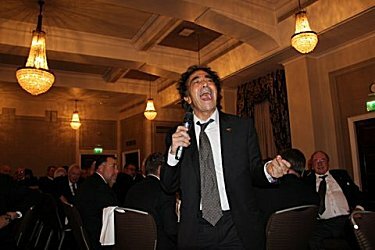 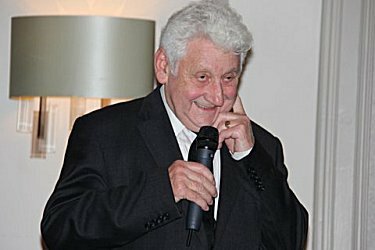 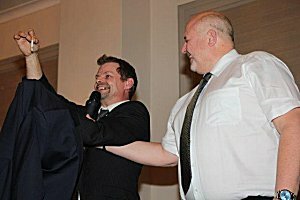 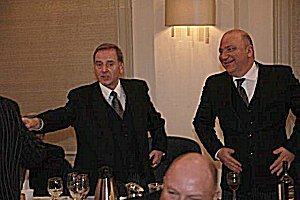 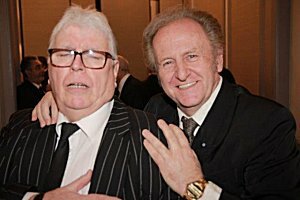 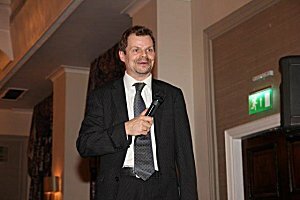 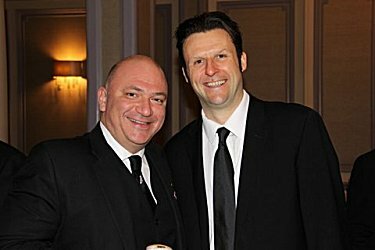 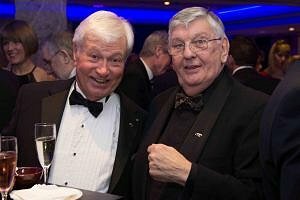 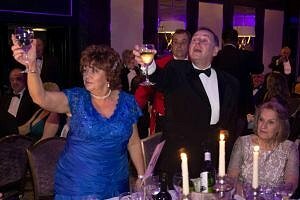 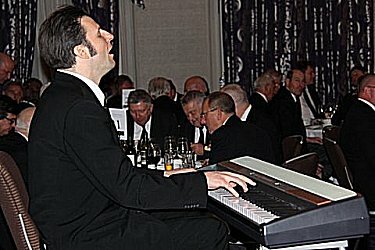 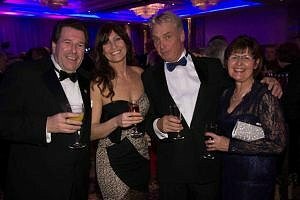 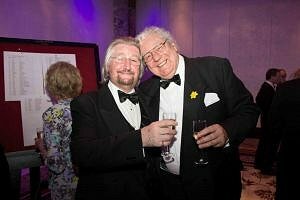 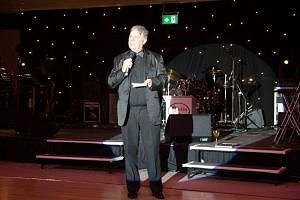 The Masonic Charitable Foundation will continue to provide the same support to Freemasons such as Geoff and many others when it launches in April 2016.
and Paul Kerr who was the entertainer on this occasion. 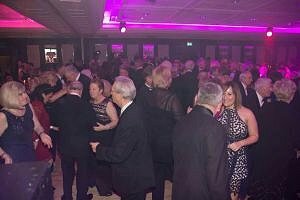 on behalf of Chelsea Lodge to the �Music in Hospitals� Charity at the Chelsea and Westminster Hospital. 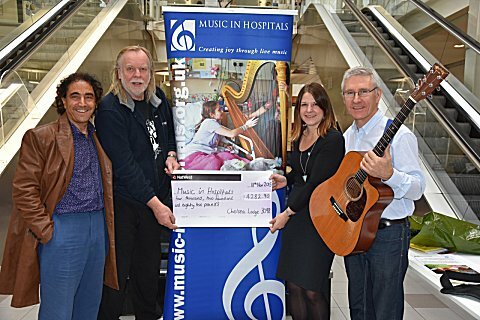 This very worthwhile charity provides live music for the patients. 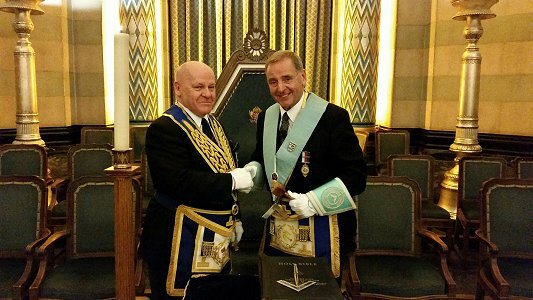 On this occasion it was in the children�s ward. 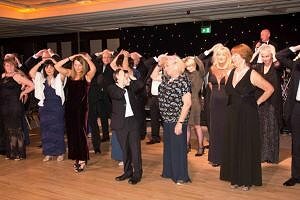 Julie Banes (Organiser) and Sophie Aldred ( supporter) along with some of the Children who took part in the show. 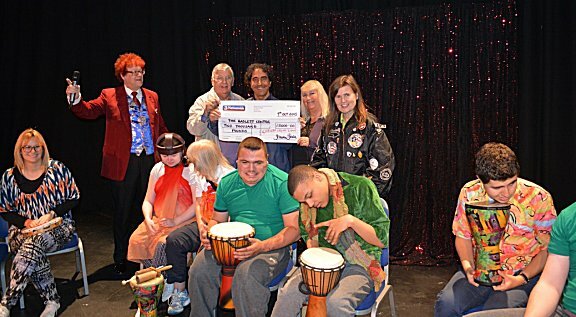 Presentation of cheque taken at the Radeltt Centre when several schools for special needs took part in a show. 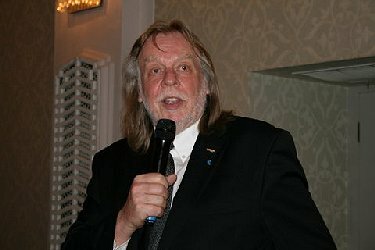 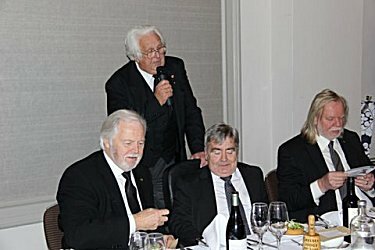 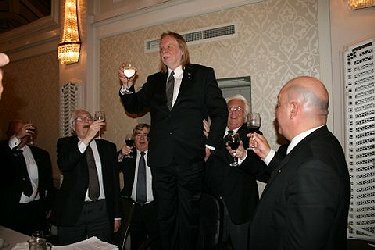 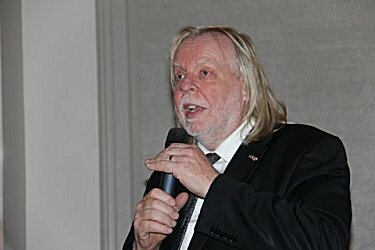 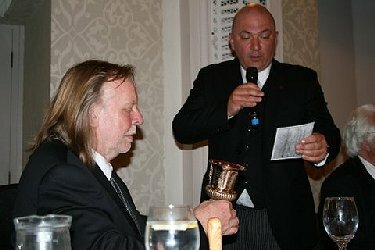 and said "It would not have been possible without the help of the members of Chelsea Lodge"
W.Bro.David Capri presenting a cheque for �2000 on behalf of PM Rick Wakeman and members of Chelsea Lodge. 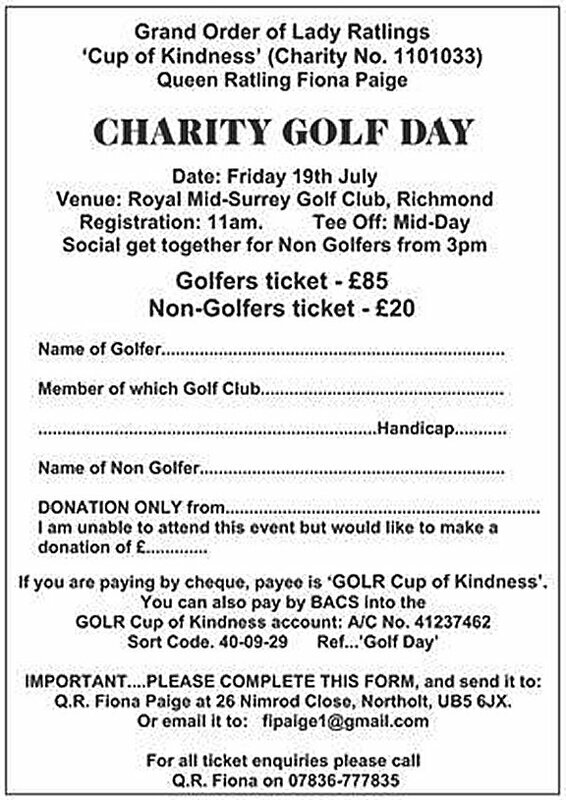 This is part of money raised during Rick�s year as Master. 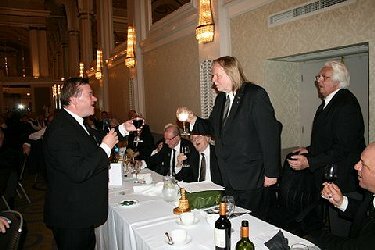 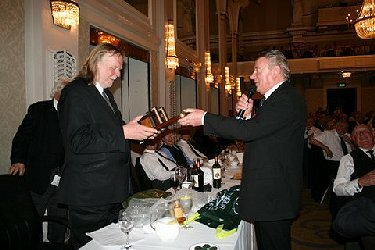 On Wednesday, 30th July 2015, W Bro Rick Wakeman and W Bro David Capri of Chelsea Lodge No 3098 visited Freemasons� Hall to present a cheque for �9,86br> Wakeman is the Immediate Past Master of Chelsea Lodge, and the cheque represents the proceeds of a number of fundraising events that took place during his year as Worshipful Master. 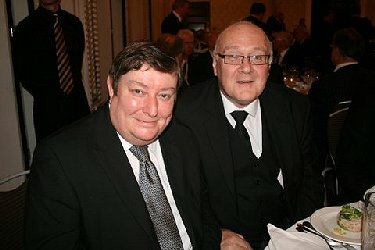 which takes underprivileged and handicapped children fishing for the day. 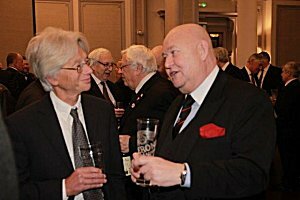 The Harrow School day in July is the one we sponsor. 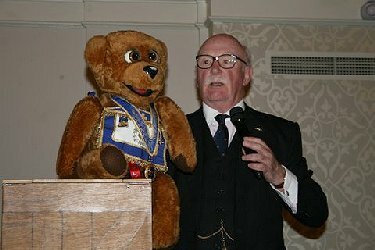 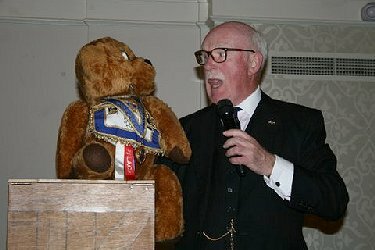 Dispensation to permit Nookie Bear to wear Masonic Craft Clothing and Jewels at appropriate masonic functions. 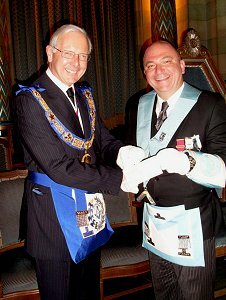 At the Chelsea Lodge meeting on Friday, 20th September 2013, with over 250 in attendance, The Right Worshipful Metropolitan Grand Master, Russell John Race, was presented with a cheque for �20,000 for the Metropolitan Masonic Charity. 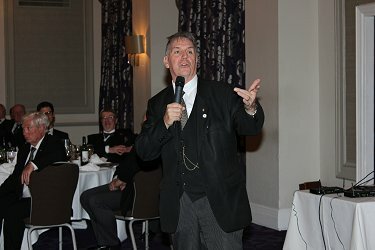 In his presentation to the Metropolitan Grand Master, the Master of Chelsea Lodge, Worshipful Brother Giles Cooper, said that �the donation was comprised of the charity proceeds collected during the years of two of his predecessors, Immediate Past Master, W.Bro. 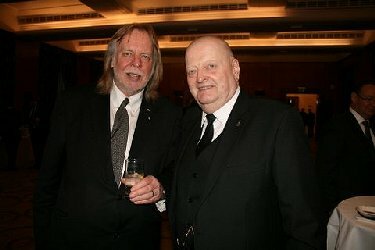 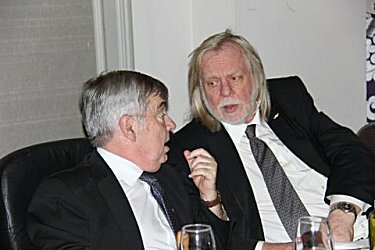 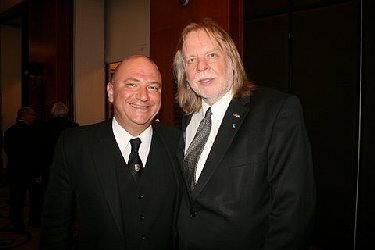 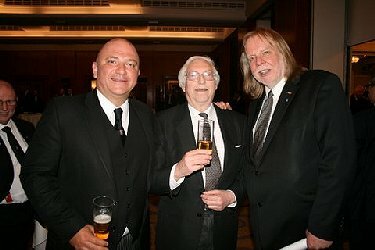 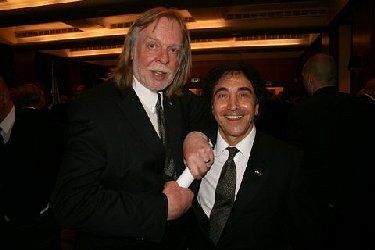 Mick Abrahams and W.Bro. 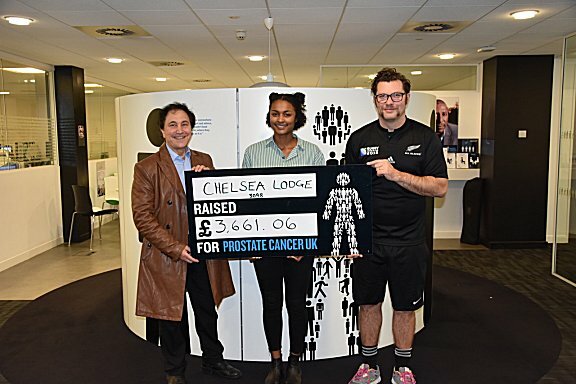 Miki Travis, with a further donation from the Chelsea Lodge Charity Fund�. 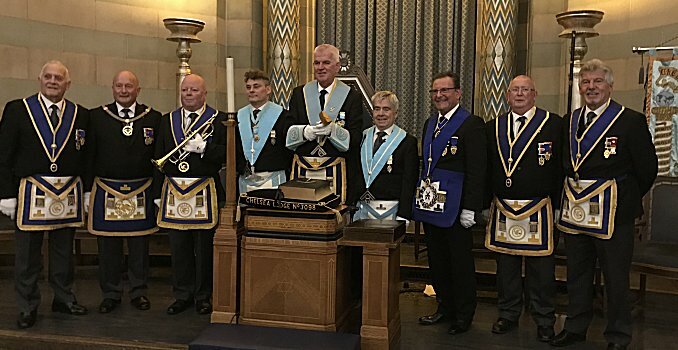 Worshipful Brother Giles further asked that the Metropolitan Grand Master accept the cheque �on behalf of the members of Chelsea Lodge as a donation towards the Metropolitan Masonic Charity�. 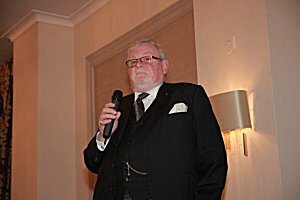 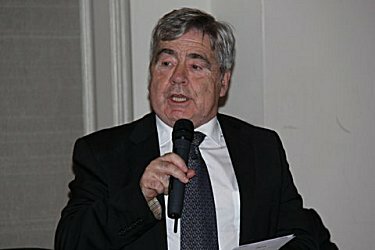 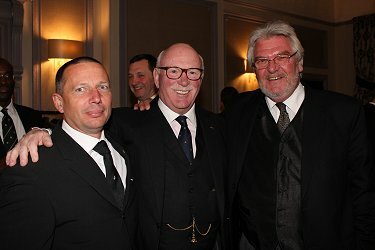 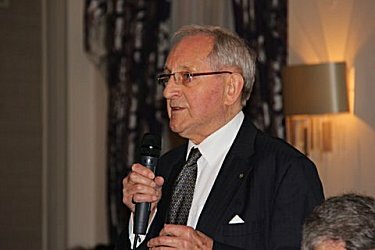 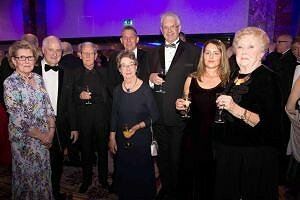 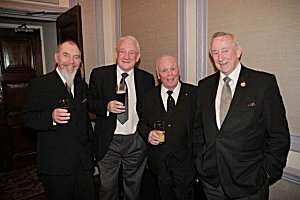 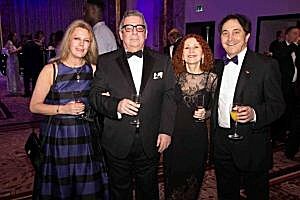 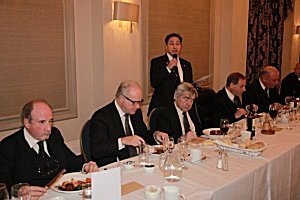 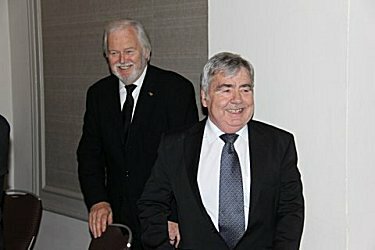 The Metropolitan Grand Master, in his response, stated how �grateful he and the Metropolitan Masonic Charity were to the members of Chelsea Lodge for their continuing and now very well known level of generosity� and assured the Chelsea Lodge that the money would be put to very good use. 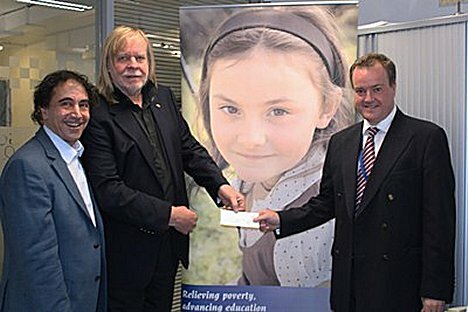 This donation brings the total given to charity by the Chelsea Lodge in the past six years to well over �100,000. 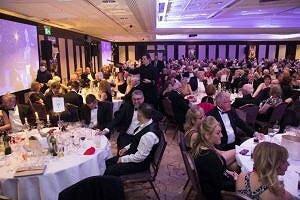 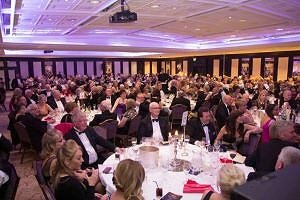 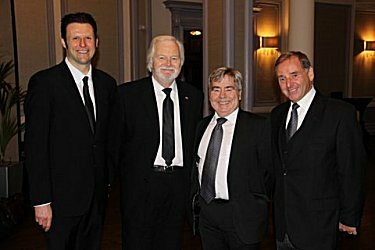 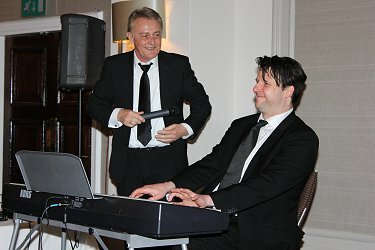 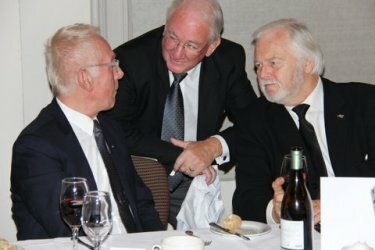 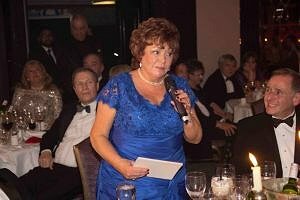 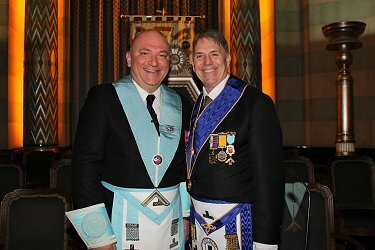 In the past five years, London�s Chelsea Lodge, the Masonic home for the entertainment industry, has raised over �100,000 for a wide range of charities. 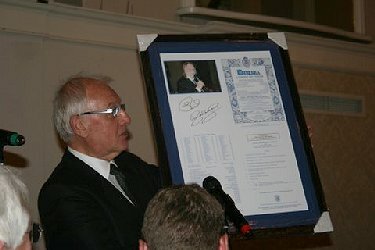 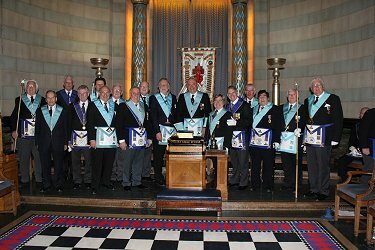 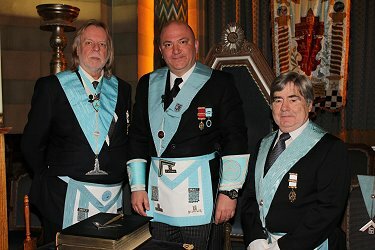 The sum was raised by members and guests donthe history of the Lodge. 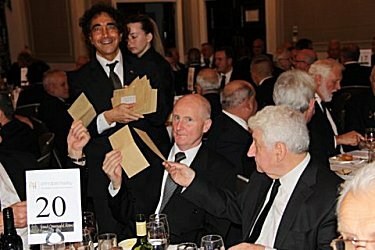 Recent charities receiving support include the London Masons Cyberknife Appeal, Prostate Cancer, Brain Tumour UK, Mercy Ships and Forces Children�s Trust. 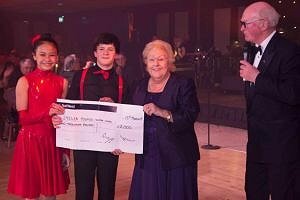 Chelsea Lodge also contributes towards funding a bursary at the Sylvia Young School. 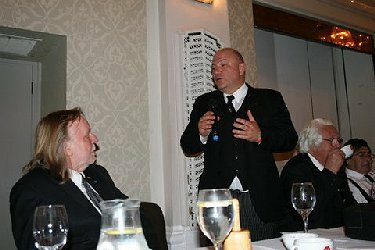 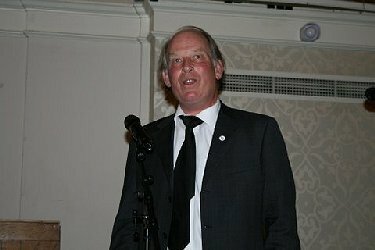 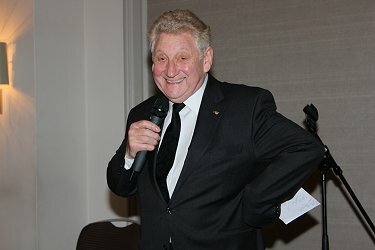 Tony Chaperlin, Secretary of the Lodge and the Chelsea Lodge Charity said �Chelsea is a very high profile Lodge with many famous members, we regularly welcome over 200 members and visitors to each of our meetings, which is reflected in the amount we raise coupled with the hard work of many Chelsea members. 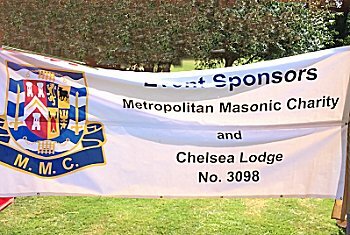 Chelsea Lodge is committed to the Metropolitan Grand Lodge�s raisin d��tre to make a positive contribution to the local community, charity and good causes. 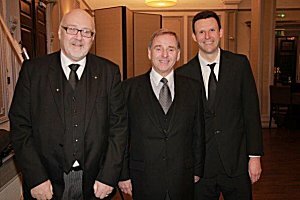 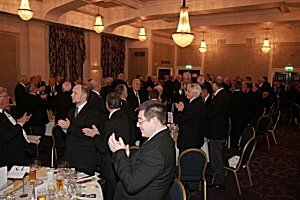 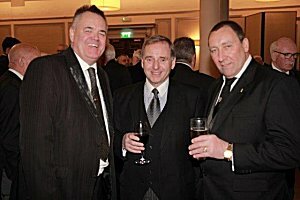 I am proud to be at the helm of such a wonderful group of Brethren�. 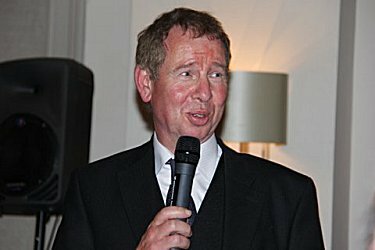 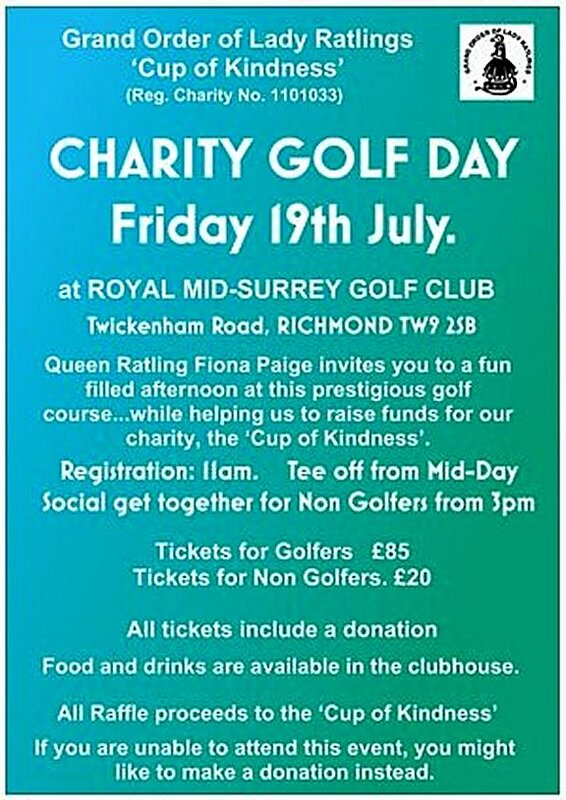 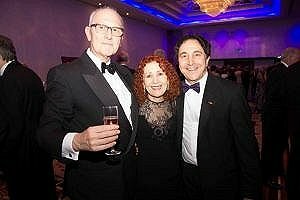 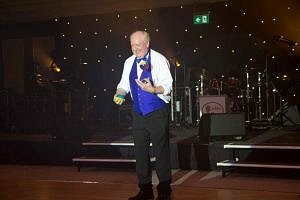 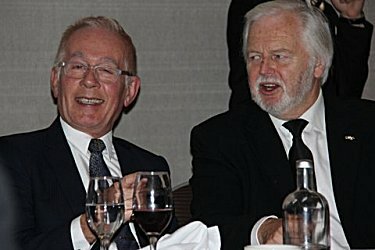 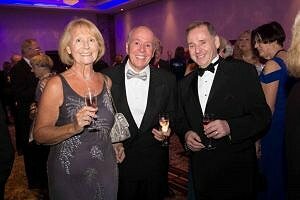 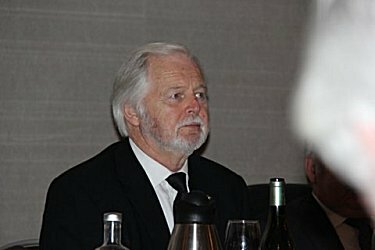 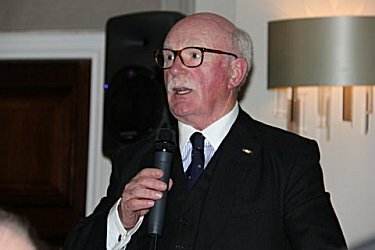 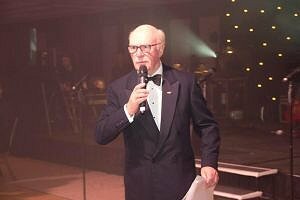 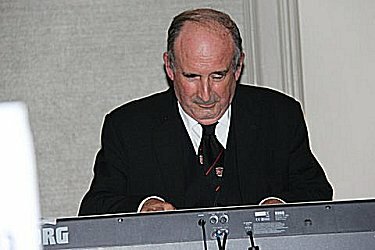 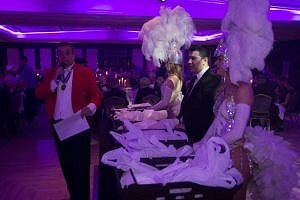 Show business legend, Roger de Courcey, chairman of the Chelsea Charity added �The Entertainment industry is known for its generosity especially in performers giving their time to support charities and those less fortunate in society. 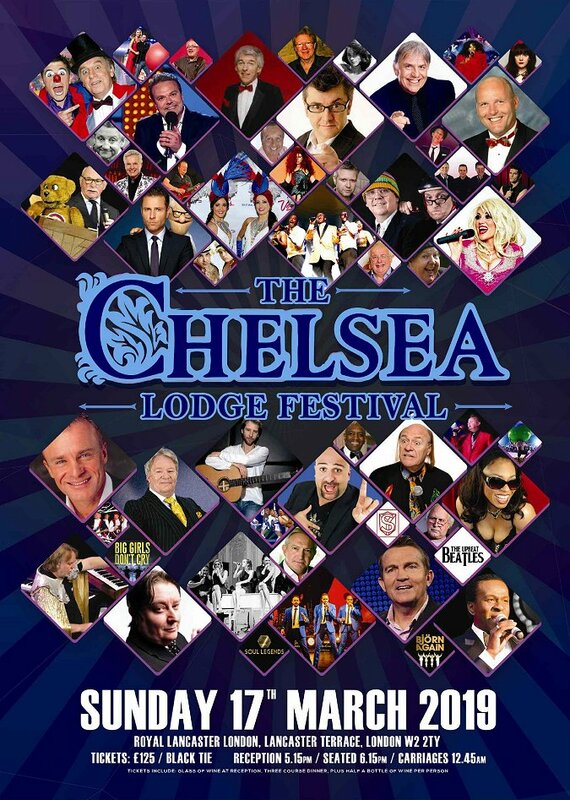 The Chelsea Lodge was formed over 107 years ago by some of the biggest Musical Stars of the day. 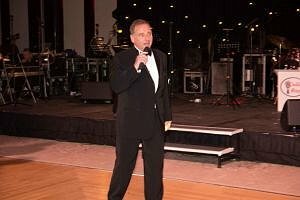 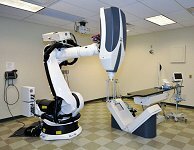 One of its main objectives was to provide support and assistance for those in society that need help. 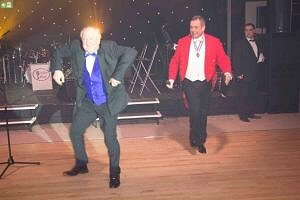 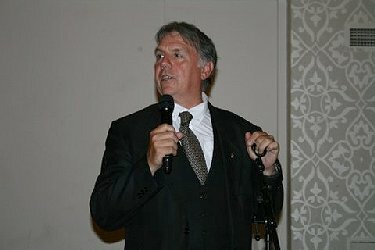 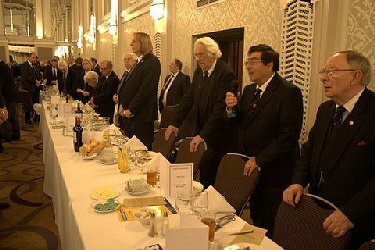 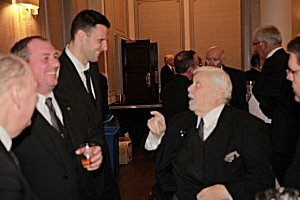 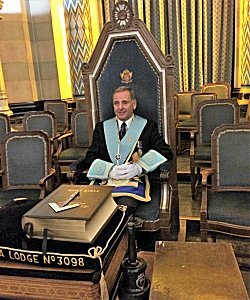 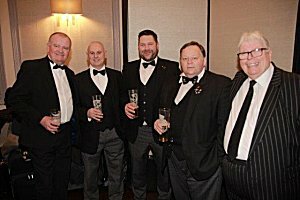 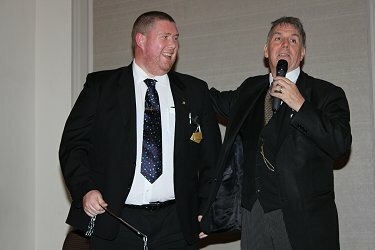 I am delighted that those principles have continued in this Lodge throughout that time and are still being supported by a new generation of entertainers. 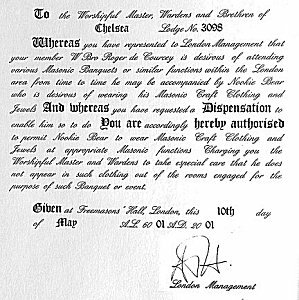 The founders of the Chelsea Lodge would be proud of those Chelsea brethren working in the industry today..... as indeed I am�. 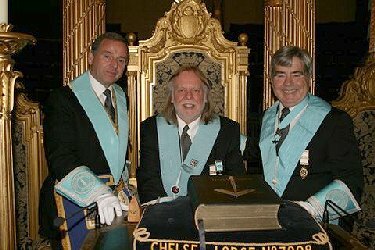 Visit the Chelsea Lodge web site for more information on the Chelsea Lodge and their meetings. 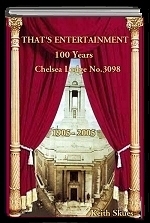 That�s Entertainment, the story of Chelsea Lodge, was published on 20th May 2005, with over 300 pages of photographs and biographies. 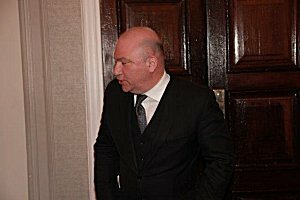 and receive upto date information between meetings.